Brigitte Lefevre joined the Paris Opera Ballet School at the age of eight and entered the Corps de ballet at the age of sixteen. During her years at the Opera she danced in ballets by G. Balanchine, R. Petit, M. Bejart. 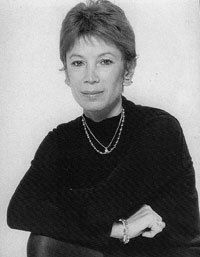 Interested from early on in different techniques of dance, Brigitte Lefevre studied jazz with Gene Robinson and participated in courses given by Alwin Nikolaes, Merce Cunningham and Paul Taylor. In 1970 she choreographed her first work Mikrocosmos, and presented it at the Avignon Festival. She has also choreographed for the drama and for musical comedy at the Theatre de la Ville. She also created the choreography for La Revolution FranНaise at the Palais des Sports in Paris and made her debut as an actress in the role of Lisa, in Dostoeevsky's The Possessed at the Theatre de la Ville in Paris. She left the Opera in 1972 to found the Theatre du Silence with Jacques Garnier. Located in La Rochelle in 1974-1985 it turned to be one of the first local companies in France. In addition to works by Jacques Garnier and Brigitte Lefevre, the choreographies of Merce Cunningham, Lar Lubovitch, David Gordon and Robert Kovich came to enrich the company's repertoire. They toured extensively (visiting twenty-one countries worldwide). Much involved in teaching, Brigitte Lefevre gave both classical and contemporary classes at the company, as well as running various courses. In 1985, she was appointed Principal Inspector of Dance for the Ministry of Culture and, in 1987 promoted to General Inspector and Chief Dance Delegate. In September 1992 she was appointed General Administrator of the Paris Opera-Garnier, and in February 1994 Associate Director, Head of Dance. In August 1995, she was made Director of Dance at the Paris National Opera. Since her appointment, Brigitte Lefevre has set out to create a living repertoire rhyming not only with the past and the present but also with the future. Brigitte Lefevre has received Chevalier de l'Ordre national du Merite, Chevalier de la Legion d'Honneur and Commandeur des Arts et Lettres.